I do not spend little money. When I spend money, I tend to spend it on larger ticket items. Some specific items include airline tickets, hotel, travel, my RC airplane, and vehicles. Before making the choice to make our finances a priority, I would not confer with Jenn. I would just go buy it. Capital One had my slack. I really did think about the cost of the item, and I usually felt I could pay it off that month. I really felt that my spending was under control. The facts show another story. The facts show a large credit card balance that did not get paid off every month. The facts show that what I felt was NOT fact. You know what? I do not want “Financing in less than 30 minutes” I do not need their financing. I made the choice a long time ago to never do debt again. 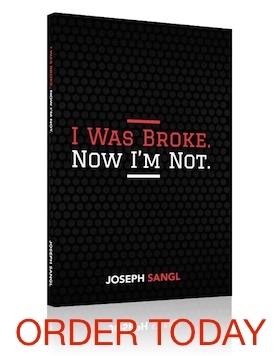 It may not be 100% fun to live in my world, but I will tell you this – I’m not broke anymore!